For the past year and a half, PACA (Pickens Arts and Cultural Alliance) has been hosting a monthly gathering of local artists. Art Pickens – Artists Gathering invites artists assemble at a public venue in Jasper, demonstrate their art, sell their art and share their passion with each-other and the always welcome public. At the August 12th Artist Gathering, we are pulling out all the stops and hosting a hometown celebration of the arts at the First Annual Cornbread Reunion. 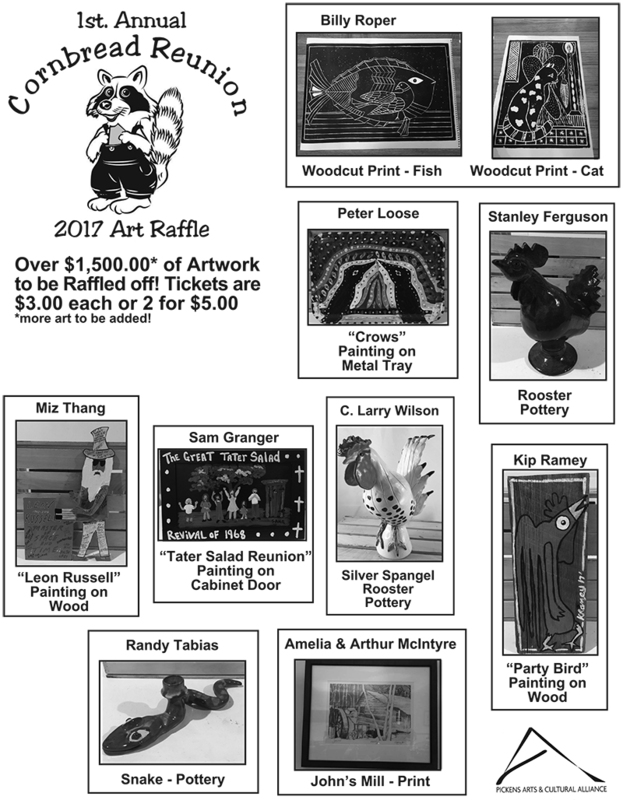 All Artist, whether you have participated in the Gathering or not and everyone in North Georgia are invited to come and meet artists, see art in action and enjoy our family friendly atmosphere. We will have activities and be selling special treats – including fresh cooked Cornbread Griddlecakes, complete with fixin’s like sorghum, honey, and butter! 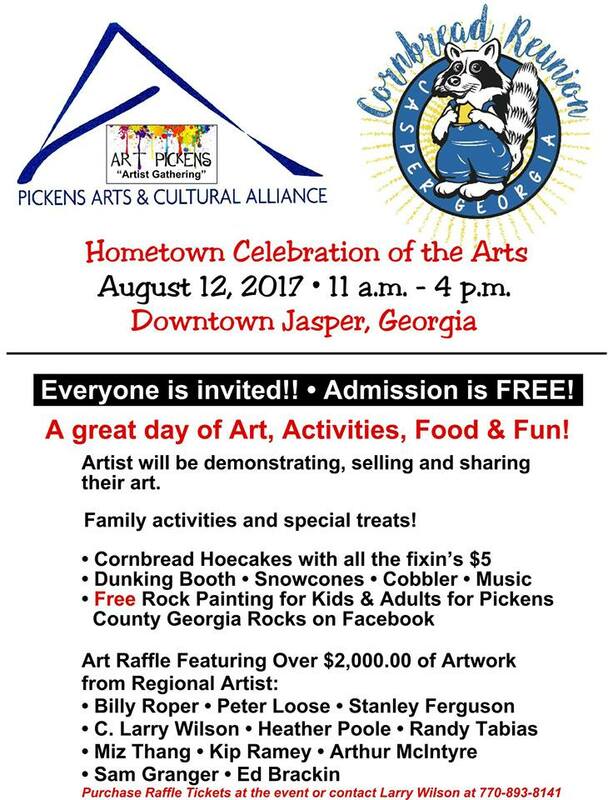 Come out, celebrate the Arts with us and help us re-establish a vibrant arts spirit in Pickens County! If you are a Jasper business, we would love some partners in re-kindling the arts in Pickens County. Sponsor our church fans or t-shirts. For $100.00, your logo will be on the back of our First Annual Cornbread Reunion t-shirts and on our Hand-Crafted Clothesline at the event! 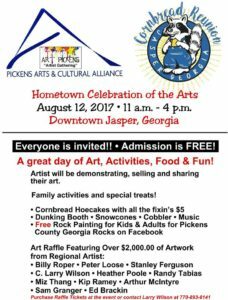 Pickens Arts and Cultural Alliance and Art Pickens Cornbread Reunion ~ Hometown Celebration of the Arts on August 12, 2017 from 11 AM – 4 PM on the green space in downtown Jasper.